A review of First Penn-Pacific Health Insurance Company leads to Lincoln Financial Products. Last year, First Penn-Pacific was bought by Lincoln Financial Products and joined their team of companies. They provide innovative financial products to customers, both individuals and businesses. Lincoln Financial sells financial products for individuals, businesses, and employees. They have been in business since June of 1905. The company is named after Abraham Lincoln because he was known for his honesty and they wanted to be a company of honesty. President Lincoln’s surviving son at the time gave the founders the permission they needed to use his name and picture as their logo. Each of these annuity types come in low, mid, and high risk formats with varied returns guarantees. Life insurance policies cannot be a one size fits all product. Though life insurance is necessary, it is also very personal. Each person has an idea of what they would like to be able to leave behind for their family, but they also have to consider what they can afford while living and what fits into their monthly budget. Lincoln Financial Group life insurance policies are available in a variety of formats so each customer can choose the package that works best for them. Term Life, Universal Life, Variable Universal Life and more are all available through the agents of Lincoln Financial Group. Term and universal plans are not based on investments so the return is lower, but variable plans are based on investments and offer a higher return. 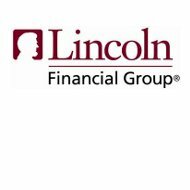 Lincoln Financial Group Products are available for both small and large businesses. Products are customized to meet the specific needs of the company. A retail business has different insurance needs than a wholesale business so it is important that an insurance company understands what a specific industry needs. Employee benefits are sighted as the number one reason individuals stay at a job. As the healthcare system in America struggles and more and more individuals are faced with trying to afford healthcare, having an employer that offers benefits is a necessity for many. Offering benefits to employees is the best employee retention program that you can have as an employer. Any or all of these insurance options can be customized to meet the needs of the business, the size of the business, and the insurance budget of the business. Not all businesses need all types of coverage and Lincoln Financial is not interested in over-insuring their customers. They want businesses to have affordable, quality benefits to offer their employees.